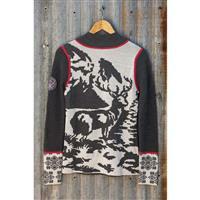 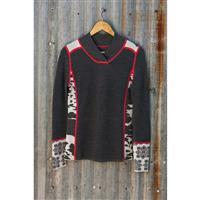 The Krimson Klover Sleighride V neck sweater is a soft and comfortable style in Merino wool. I love the unusual v neck, the contrasting design on the cuffs and the lovely winterscape design on the back of the sweater. 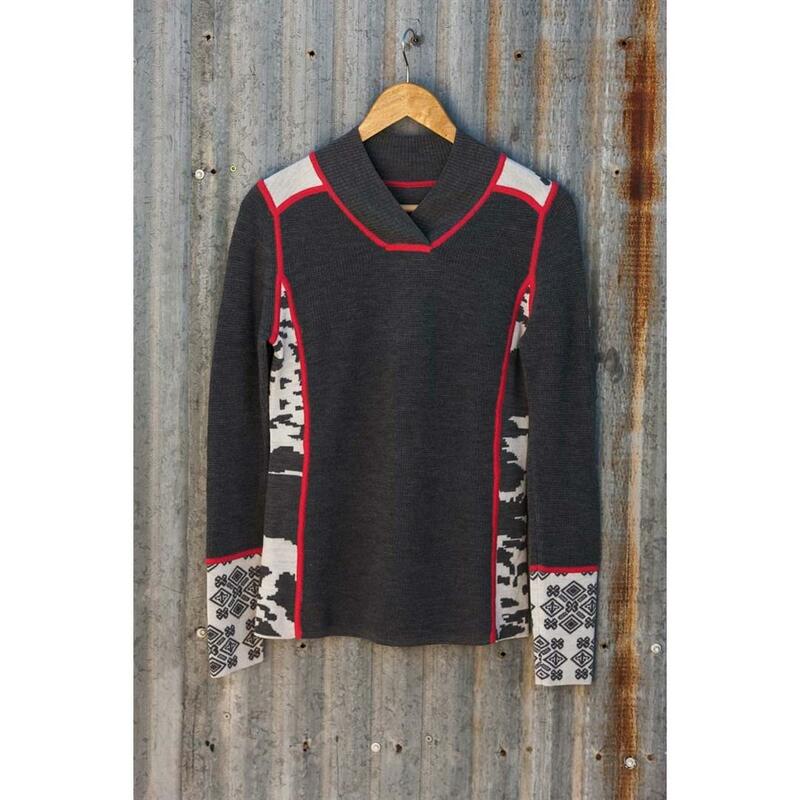 I plan to wear this in winter for casual wear as well as as a midlayer for skiing and snowshoeing.